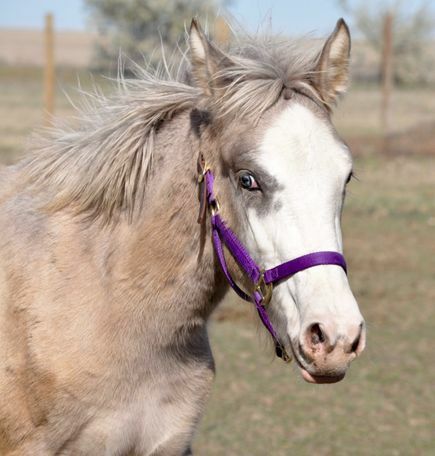 Sweetheart of a filly available for adoption. In your pocket and has the basics covered; has the potential to go in any direction under saddle. Harley is a flashy grade coming 2-year-old Sabino Overo Dunalino filly (has not been color tested). Harley is the sweet heart of Allegiance Ranch. Coming to us from the slaughter pipeline, she was weaned from her mother early. She is very loving and in your pocket, stands tied, loves to be groomed and picks up all 4 feet. She is completely sacked out to ropes, blankets, tarps, etc. and is starting training in the round pen. Because she is so friendly, Harley can be a bit pushy while leading but is respectful once reminded that she is not a lap dog. Harley is very curious and is the first to meet you at the gate. 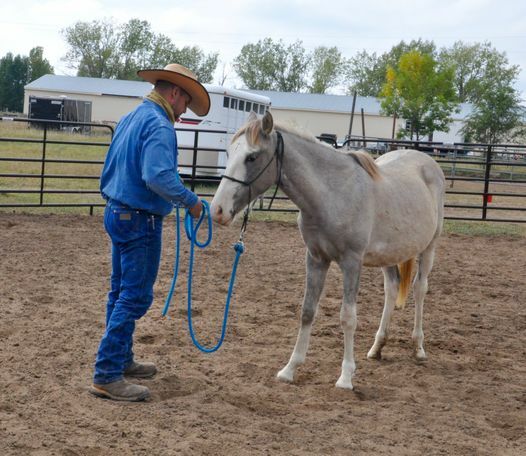 Our trainer believes that she has the potential to go in any direction under saddle and will make a great member of any family. She has the ability to make everyone fall in love with her and will be adopted to an approved home only. She is UTD on shots, deworming, trimming, and Coggins will be pulled. Adoption fee is $800. Requires a contract.